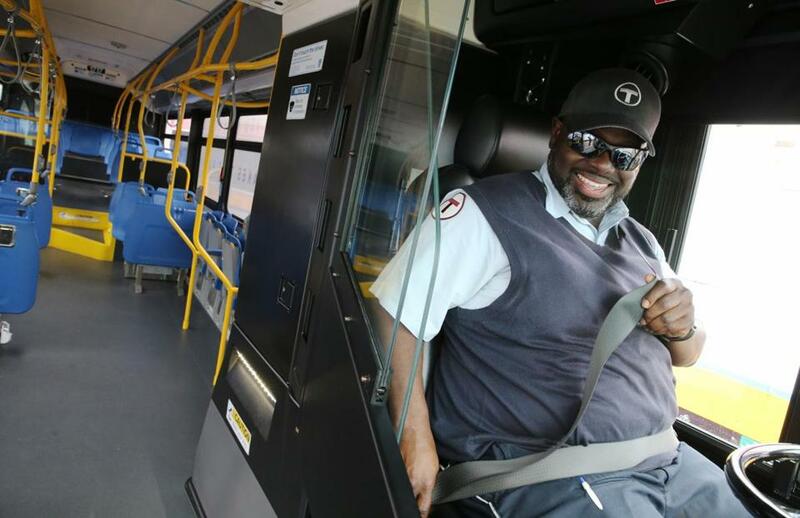 Bus operator Daron Banks buckles his seatbelt before moving a compressed natural-gas bus displayed by the MBTA/MassDOT in Boston, on July 18, 2017. Climate change poses a significant financial risk to businesses. Small businesses are the hardest hit by weather-related disruptions that reduce cash flows, damage property, cause supply-chain interruptions, and raise insurance costs. Almost 40 percent of small businesses never reopen their doors after a disaster, another 25 percent fail within one year. After the historic storms earlier this year, businesses around the state lost close to $1 billion in missed sales — and that’s not including physical damages that can take months to repair. Climate change is causing these storms to become more intense and more frequent, and local businesses are likely to take on even bigger losses — resulting in lost income for workers and lost tax revenue for the state. Avoiding the worst consequences of climate change requires bold and urgent action to curb carbon emissions, particularly from the transportation sector, the number one contributor of greenhouse gas emissions in the country. That’s why over 100 Boston city businesses recently signed a letter urging the Massachusetts Bay Transportation Authority to speed up the adoption of zero emission buses. Adoption of electric bus technology is scaling up rapidly. Transit agencies across the country — including Philadelphia, Los Angeles, and Seattle — are committing to increasing or transitioning their entire fleet to electric. Zero-emission electric buses produce less than half of the global warming emissions than their diesel and natural gas counterparts, and cut air and noise pollution along bus routes. Diesel exhaust, on the other hand, contains more than 40 toxic air contaminants that can cause and worsen diseases such as asthma and cancer. This type of air pollution disproportionately impacts poor neighborhoods and communities of color in cities nationwide — including Boston and its surrounding cities. According to an analysis by the American Lung Association, transitioning all vehicle fleets to electricity by 2050 will save Massachusetts almost $2.7 billion in public health and climate improvements. A 60-foot electric bus used by the Antelope Valley Transit Authority, in Lancaster, Calif., on May 17, 2018. 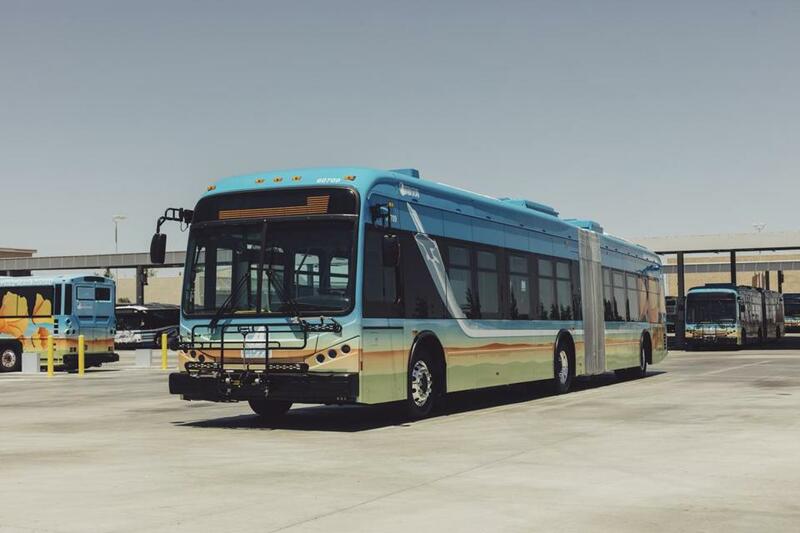 The authority, which serves some 450,000 residents in parts of Los Angeles County, wants to be the first transit agency with an all-electric bus fleet. Zero-emission electric buses are not only good for our health and our climate, they also make sound financial sense for our Commonwealth. Because of reduced fueling and maintenance costs, each electric bus could save the MBTA $200,000 over its lifetime as compared to a diesel bus. Additionally, electric buses have logged up to 133,000 miles between maintenance stops compared to a compressed natural gas bus that averaged 45,000 miles between maintenance stops. Public transit is a lifeline connecting people to businesses all around Boston’s neighborhoods. Small businesses anchor these communities and are critical to the local economy. However, with Massachusetts ranked fourth in the nation for the most commercial properties at risk of inundation by the end of the century, small businesses remain vulnerable to damage from extreme weather events. Massachusetts needs to step up and take bold action to swiftly reduce transportation emissions. Electric buses provide a climate solution that we can implement today. Vincent Petryk is owner and founder of JP Licks. David Doyle is owner of Tres Gatos and co-owner of Little Dipper and Casa Verde. Veena Dharmaraj is conservation and development program manager at Sierra Club.